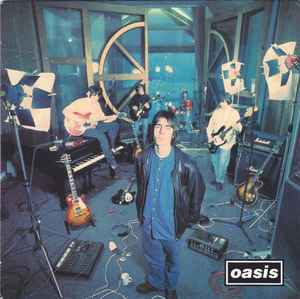 1st single from Definitely Maybe released in the UK on 11 April 1994 on CD/7"/12"
Debut single, entered UK Singles Chart 23.04.1994 and stayed for 14 weeks including 5 re-entries. Great sound quality, much better than the original release! i think it's pretty good. it's more clear, yet it doesn't lose any of the raw elements. can't wait to hear the rest. This remastered reissue sounds like digital...So Liam who said "Don't buy remastered ones" is right, I think..